Note: This is a re-post due to Blogger's "maintenance" issues. 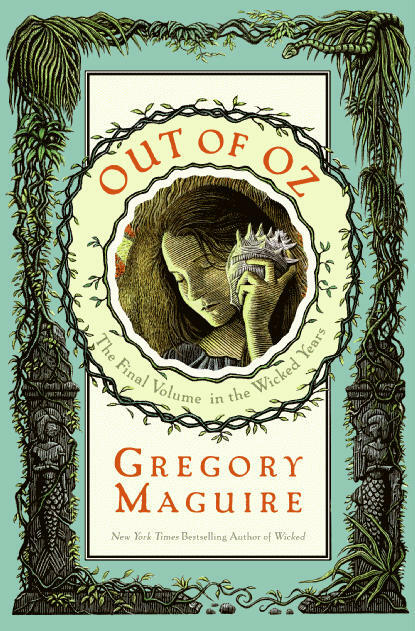 I have to say the only Gregory McGuire book I read was Wicked and I was so disappointed I've never been able to read anything else by him. I'm waiting to see what other people say about this one before I decide to read it. Thanks for the post! You know Kate, I've heard that a lot actually. I really loved Wicked and also enjoyed Son of a Witch. I have the 3rd book about the Lion but haven't read it yet. I think I will read the Lion one first and then see if I want to finish it up with Out of Oz, but it's a bummer that a series starts off so hot and then fails to keep up the awesomeness! I'm with Holly, I read all three Wicked books (the last one being my least favourite, he went a little to far in the disturbing side of things, imo), Mirror, Mirror (which was AWESOME and just as good as Wicked, which was my fav), and Confessions of an Ugly Stepsister. After the last Wicked I am very very apprehensive about reading this last one, I may just order it up at the library and see.